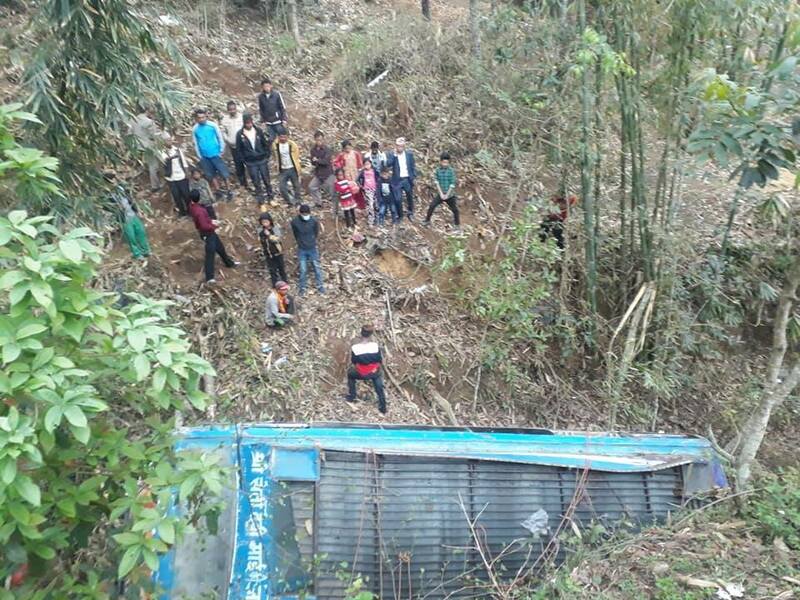 The incident occurred when the ill-fated bus (Na 4 Kha 7411) skidded off the road and plunged into gorge at Mahadevsthan in Halesi Tuwachung Municipality at 11 pm, according to DSP Rajkumar KC. Parja Bahadur Rai, aged 32, who was seriously injured in the incident, died while he was being rushed to District Hospital, Khotang. Bus driver and six persons who were seriously injured in the incident have been referred to TU Teaching Hospital in Kathmandu for further treatment. Likewise, seven others have been receiving primary treatment at District Hospital, Khotang. 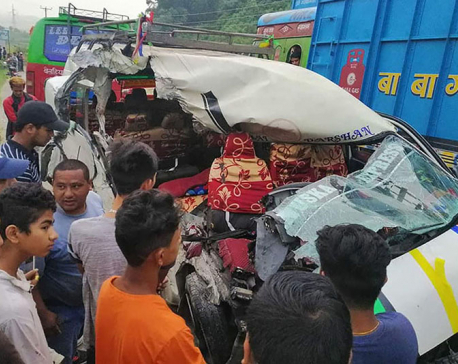 The bus was en route to Khotang from Kathmandu when it met with the accident.